How do you brand something you can’t see? This was one of the first questions we had when STANLEY Security tapped us for a new image campaign for Thermal Perimeter Detection, a thermal-based security system. 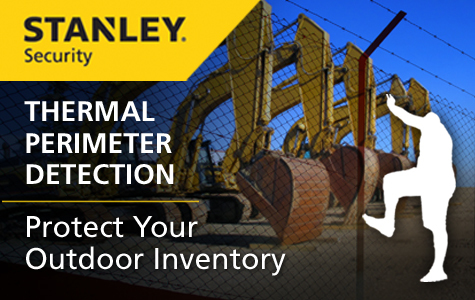 Thermal Perimeter Detection provides STANLEY Security customers with an innovative solution to detect perimeter breach. The system’s intelligent advanced analytics determine the difference between human intruders and environmental issues such as tree branches, wind interference, and animals. The system also provides quicker police response times to crimes in progress through STANLEY’s advanced monitoring team of validation experts. STANLEY called on MCG for a unique branding campaign that would personalize industry-specific marketing materials so that when the message was received, audiences would immediately feel that the solution would be applicable to their unique businesses. Developing the imagery for Thermal Perimeter Detection was no small task: the images needed to apply to a number of unique business applications. Since the system is a thermal-based application, all imagery needed to be shown at night, and all intruders needed to be seen in silhouette, climbing a fence. The intruder and fence needed to be sized appropriately to the background images, and all pieces needed to work together cohesively as a complete brand family. The final imagery was used in a number of applications including rotating HTML banners, email blast campaigns, display advertising, and web and social media graphics. Stanley Security delivers comprehensive security solutions that cover every aspect of physical security, integrating the world’s best intrusion, fire, video surveillance, access control and monitoring applications. Stanley’s competitive advantage is the people who install, service, and monitor their systems. We were excited with the way this campaign worked for Stanley Security and their unique detection system. Here’s to helping those who make the world safer!